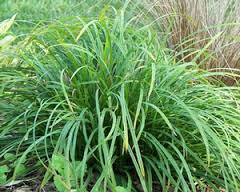 Creek Sedge has medium to thin leaves that are dark green. It makes great distinct clumps. It tends to be small half globe about 8-10 inches around. It grows in areas that have more profound moist soil like creek banks and woodlands. It likes good garden soil with plenty of organic matter. It can take some sun but it will also want more water during the summer. If planted in the right place there would be no need to water it once established. It can make a single species ground cover but is most valuable in a mixed grassy meadow. The creek sedge plant naturally occurs from Texas to Quebec and Georgia to New Hampshire. This plant likes to be in the shade and could adapt to moist soil very quickly. This plant grows in the sun and in shade. The creek sedge plant blooms in early spring. 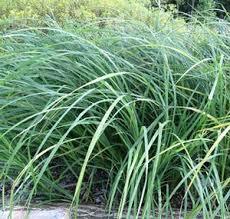 Creek Sedge is a vibrant green color; it has long smooth leaves that give it a beautiful aesthetic look. This plant grows in well-drained, dry and average soil. The grass type to this plant is cool season. You could find this plant in native shade gardens, along wood paths or as a slope stabilizer. This is such a unique plant and will definitely turn heads. If you're able to plant this plant in you're garden it will impress. The season of interest for this plant is fall winter and spring. This plant is an excellent companion for Phlox divaricata, Asarum, Chrysogonum and Polygonatum and many others. When this plant blooms it grows very tall and gives you're garden a beautiful look. Grasses can add privacy to your yard. Tall grasses in a large grouping can be a perfect solution for screening an unpleasant view. Whether you use them as screens, accents, or focal points, let ornamental grasses play a role in your garden or landscape. Creek Sedge only grows in green but it's a unique and vibrant green that no other plant could compete with.